I plan on making this corridor wall segment part of my future whole corridor design, but I first have to create the opposite wall, a ceiling, and a floor. I already have some ideas about the other wall and the ceiling but the floor is still in the works. 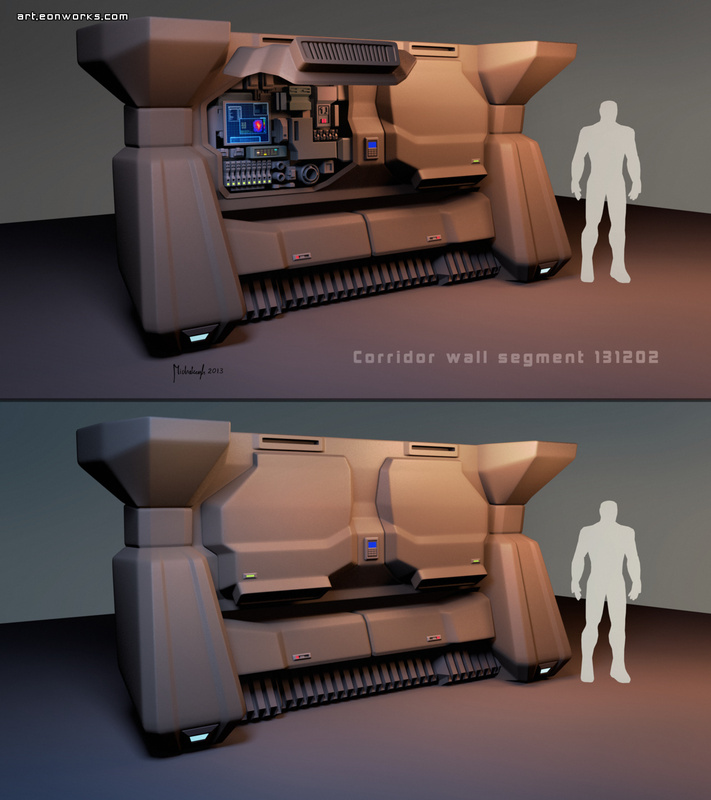 It's great fun to make concepts of interior sci-fi designs like these and I already look forward to make the other parts of the corridor. Another news is that I'm about to set up a small rendering farm using my computers at home. I calculated that my rendering time will be reduced by 60-80% by using the two other computers I have.